Here you see the difference in the leading edge angle. Hope someone would be interested in this. I've been told the wing sweep angle on the Tamiya kit is too shallow. It should be 35 degrees at 1/4 chord (just like the F-86!). The folks who crave accuracy in minutia will be on this, so yes I think it will generate a lot of interest, especially the way Trumpy is slammed with it's less that stellar record of accurate model kits. However this lack of accuracy does create a market for products such as yours; good luck with your endeavor . Just a question for future refs, how does the Monogram MiG-15 kit from the 80's compare for accuracy with regards to wing sweep and empennage? I've seen lots of talk, but not much in the way of images - what exactly is wrong with the Trumpeter Floggers?? What is wrong? A lot, and the real problem it is not only a question of doing new panel lines . . .
For example the tail: in designing the tail they took a 2 dimensional plan of the fuselgae and transfered it to a 3 dimensional rounded surface distorting all the lines in the process! Have a look at the form of the airbrakes on the kit, they are squashed romboids on the kit. Have a look at the kit as if it was a sideview on the drawing, then you will see the airbrakes as perfect but when you look at it at a right angle to the surface of the fuselage you will see its distorted airbrakes. I was looking forward to the Eduard correction set after seeing a Trump MiG-23 kit in the arms of Mr. Sulc two years ago at E Day. Yes they did do a photoetch detail set in the end but it turned out to be not a correction set! What they have done is to make some nice etched brass airbrakes of the same distorted shape just to detail the Trump kit but not to correct its mistakes. Well this is a way of dooing things, but I believe in correcting mistakes of the original manufacture. Going back to the original question of the the topic: Stenkabg all the best wishes with your MiG-15 conversion and fortunately (for you) and unfortunately for us modelers manufacturers keep producing kits with little research in the background. So there is plenty of thing that need correction! Just a question for future refs, how does the Monogram MiG-15 kit from the 80's compare for accuracy with regards to wing sweep and empennage? I believe the Monogram Mig-15 is out of scale, being larger then 1/48. 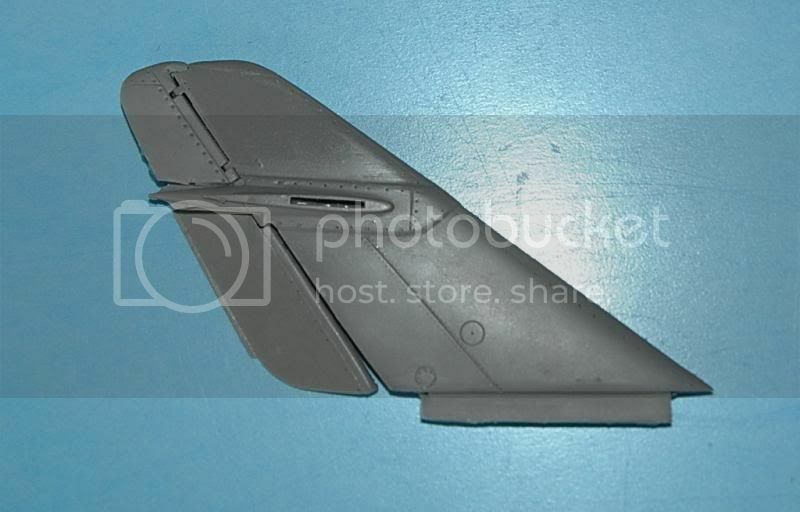 I have also heard that the wings are a slightly different scale then the fuselage, they (wings) being closer to 1/48 then the fuselage (being slightly larger). 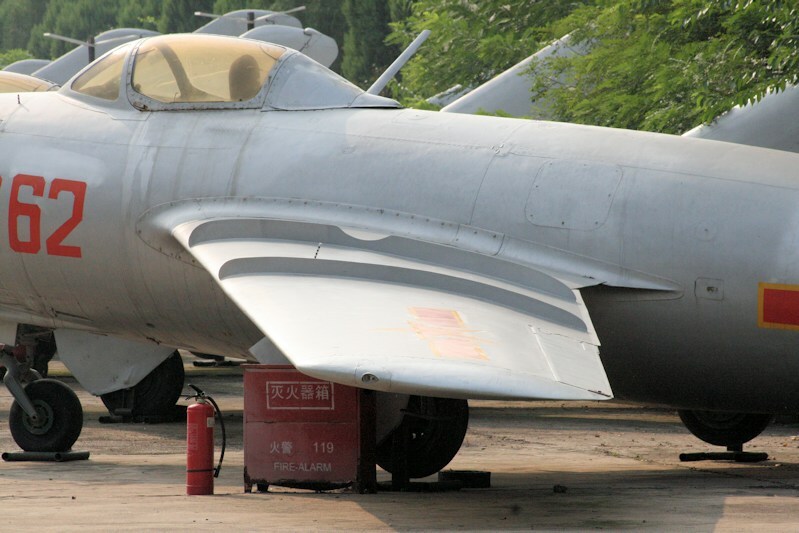 If you put the Monogram Mig-15 beside a Sabre model, they are almost the same size, whereas the real aircraft were very different in size (Sabre being noticeably larger). 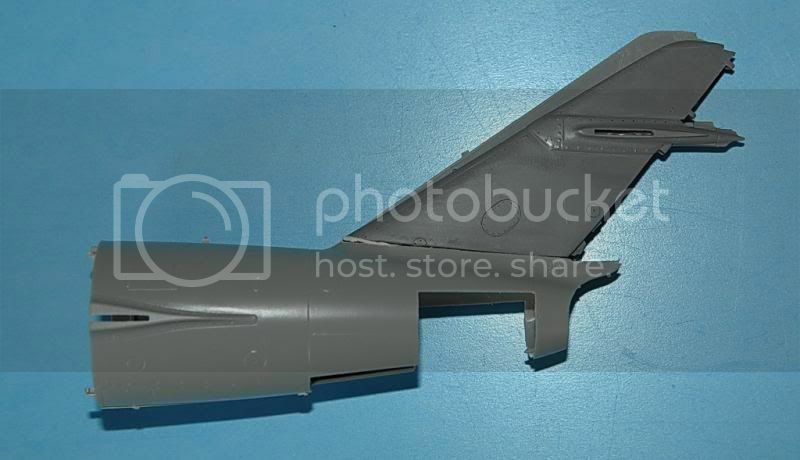 It never fails to amaze me how we have aircraft (like the Mig-15) laying about in abundance and thus fairly easy for a manufacturer to literally climb all over them to get accurate dimensions, yet we get models that are borderline fictional when it comes to correct shape and such. 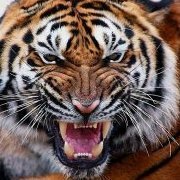 Not only there are thousands of them still around in all corners of the world but China had them, manufactured them and still has many examples. So there is no excuse for getting the lines wrong! Of course when you do research sitting behind your desk, have only a limited time for it, take some existing drawings/references as hard facts and never take the time to look at the real thing this is what you get! Nice line up of MiGs! For me it is a pure mystery how can they make such silly mistakes and deform the shape and steal from the beauty of the aircraft. I always wondered about that, the fact that Trumpeter can probably get physical access to the real thing you would think that the resulting model would be spot on. I guess not though. Probably has to do with money. They would have to send a team out there to measure, photograph the aircraft or whatever. Hmmm, that takes time when they could get the "same" results from looking at pictures and drawings. Ok sit at your desk and scan those drawings into the CAD program. Good enough. As for the issues with the MiG 23 series, I had heard that the 1/32nd kit was pretty good. Did they not scale down that kit? 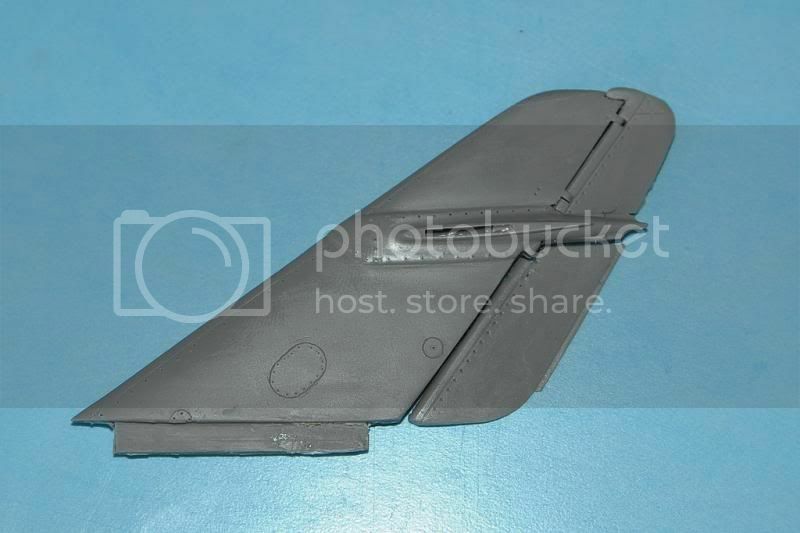 There are some issues with the intakes on the 1/32nd kit but did not know about the front fuselage troubles. Good to know. Hey, I still have my ESCI kits which I will donate to a needy family. So now I am thoroughly confused. 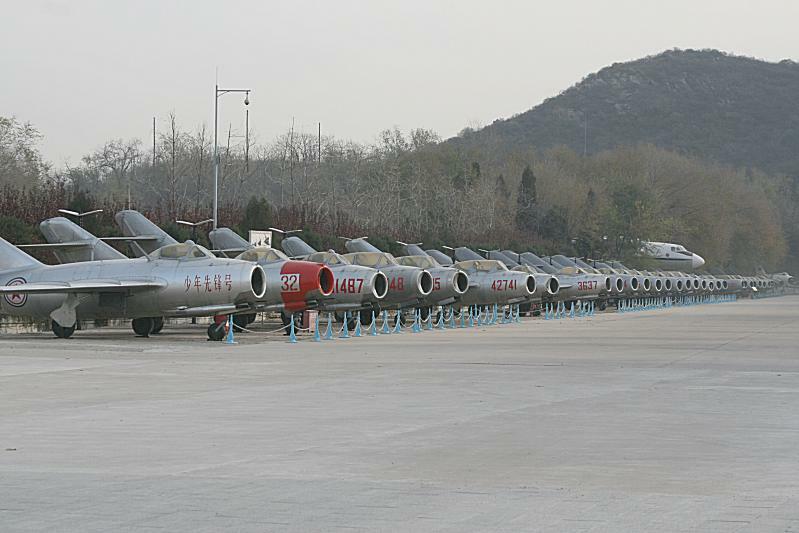 Mig-15's...or even early Mig-15bis aircraft. So...perhaps due to pilot feedback, the notch was added in later bis aircraft and possibly retrofitted to some earlier Mig-15 airframes? Again... pure speculation on my part. You are right. The cut out is there to see the flap down "soldier". 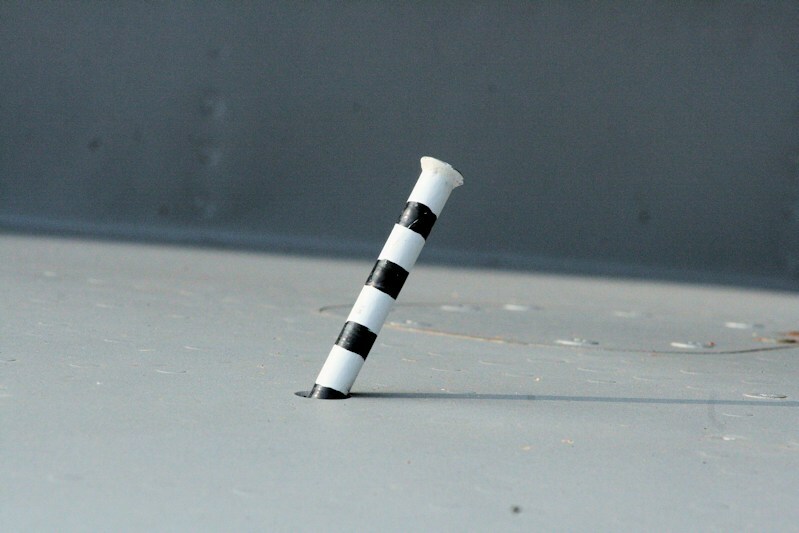 This indicator was not present on early MiG-15's, so there was no need for the cutout. 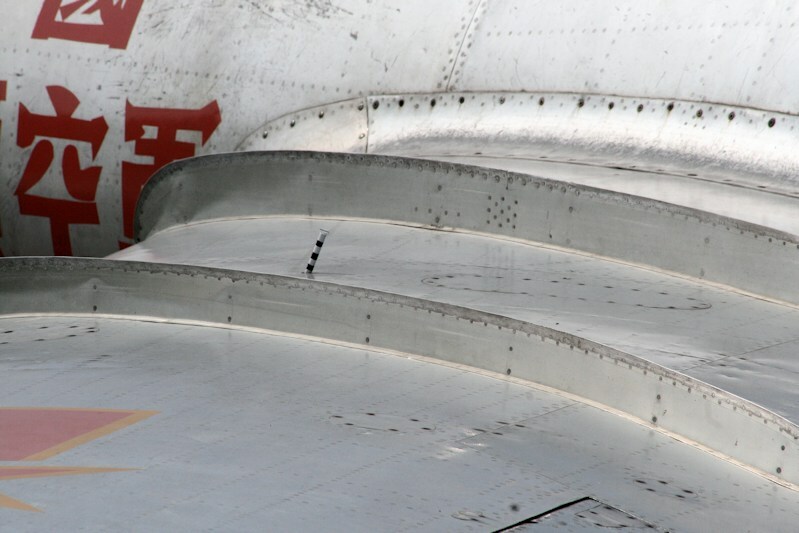 It would have been not possible to see a flap indicator from the cockpit if there was no cutout in wing fence. The flap indicator is only on the left wing and so you would find the cutout also only on the left wing. With the flap indicator fitted the cutout was added, which was infact an actual "cut out" from the wing fence with an insert alu plate put intside the cut out and riveted to it. The wing fence is not a flat panel but an inverted V shaped unit so the small insert was needed to block the hole in the midle of it. It is unfortunate that there is not even an indication of the wheels down "soldiers" on the brand new Eduard MiG-15 kits. Apart from the main gear indicator there should be also a nose gear indicator on the left side in front of the windscreen, inside the cover for the front "radio bay". You can just make out the top of the retracted flap indicator in line with the cutout and inboard of the oval panel. I am just starting the Eduard 1/72 Mig-15bis...what a PHENOMENAL kit ! This is a real treat. Just in the initial research stage...hence the reason why I knew...suspected ...about the flap down indicator. Anyway, those of us who enjoy 1/72 jets have a beauty in this Eduard kit. Cheers all...nice thread...I learned a lot. 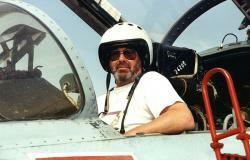 I am just starting the Eduard 1/72 Mig-15bis...what a PHENOMENAL kit :thumbsup:/> ! This is a real treat. Just in the initial research stage...hence the reason why I knew...suspected :rolleyes:/> ...about the flap down indicator. Anyway, those of us who enjoy 1/72 jets have a beauty in this Eduard kit. Do you have the 2.1 version of the kit? This is the corrected second generation version. Some of the small mistakes were corrected on it and the assembly is easier than on the 2.0 version. Just a hint, have you seen the latest release from the Polish based Master Company. 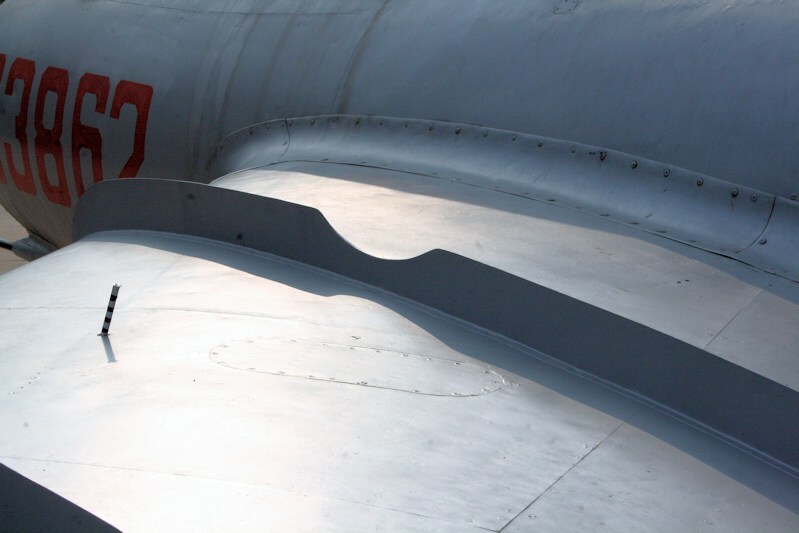 They do a set of pitots and gun barrels for the MiG-15. The 37mm gun muzzle is amazing in 72nd. He has done a real Master job in recreating the original muzzle. Worth having a look at it. Yes it's the latest ProfiPak version with all the bells and whistles. The kit is stunning just sitting in the box, even the instruction booklet...and it IS a full color glossy page actual booklet...is fantastic. I am really looking forward to this build and I will certainly check out those gun barrels and pitot tubes . Yes it's the latest ProfiPak version with all the bells and whistles. The kit is stunning just sitting in the box, even the instruction booklet...and it IS a full color glossy page actual booklet...is fantastic. I am really looking forward to this build and I will certainly check out those gun barrels and pitot tubes :thumbsup:/> . Have fun with the kit!